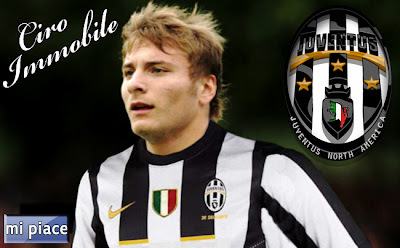 "But I would also like to go to Juventus - Immobile said - I would rather fight for the championship as a goal and not for salvation from religation. Seeing my name matched with players like Drogba and Llorente may seem exaggerated, but I would be ready for Juventus, because it would be an important occasion, the turning point in my career : whether it be good or bad. " And then in Turin could find Antonio Conte , after being together in Siena:'' He is a great motivator , careful, details in detail. Juventus led to a winning mentality. " Immobile's words come a few hours from a new meeting between Preziosi and Juve scheduled for Tuesday. The club president Agnelli decided to put on the plate Simone Padoin, "liberated" from Conte, and an adjustment that should lead to an agreement on 5/6 million euro for the second half of the tag.